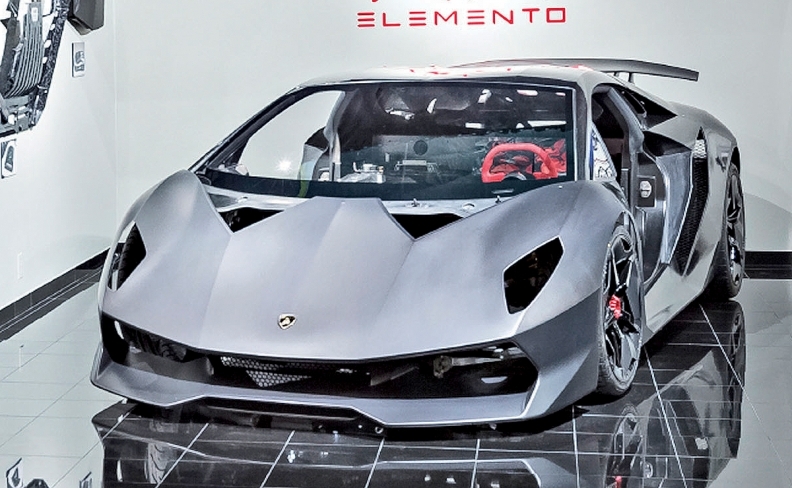 The Sesto Elemento concept at Lamborghini's Advanced Composite Structures Laboratory was made with the forged composite construction technique that is also used to make connecting rods in the engine. SEATTLE -- Carbon-fiber body panels or trim pieces on a breathtakingly expensive supercar like a Lamborghini are old hat. But carbon-fiber connecting rods in the engine? Now that's exotic. Such an advance is one of several carbon-based technologies Lamborghini is exploring at its new Advanced Composite Structures Laboratory here. The 8,000-square-foot shop opened last month, with Lamborghini CEO Stefano Domenicali on hand for the ribbon cutting. 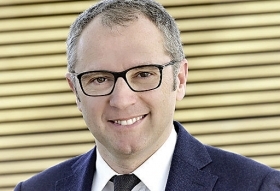 "These materials, this research represents the future of our automotive vision," Domenicali told the gathered crowd. That vision includes using carbon connectors rather than steel, cutting their weight between 40 and 50 percent. Using them in a V-12 engine would have many benefits, including noticeably improved power and acceleration. Lamborghini's goal is to have the world's first production car with carbon connectors, the automaker's head of r&d, Maurizio Reggiani, told Automotive News. "I [hope] that in one, one-and-a-half years, we are able to finish development and say this can be a part that can be in the future in the engine," Reggiani said. "I hope that we are able to have something in production soon." Such a feature would be viable in the Aventador's successor, Reggiani confirmed. That car will be introduced in 2020 or 2021, Domenicali told Automotive News. The rods themselves are made from forged composite, a cornerstone of Lamborghini's Seattle outfit. This technique moves beyond the traditional methods of using resin-reinforced, or "prepreg," carbon-fiber cloth hand-pressed into molds and baked, or resin transfer molding, which injects the resin into the mold under high pressure, as McLaren uses for the tubs of its supercars. Instead, forged composites simply take a premixed lump of carbon fibers and resin, drop it into a steel mold and apply gobs of heat and pressure. Three minutes later, a piece ready for finishing, a drastic reduction from the 12-hour and 3-hour cycle times of prepreg and resin transfer molding, respectively. It was this construction method that Lamborghini used on 80 percent of its wild Sesto Elemento supercar in 2010. While the bulk of Lamborghini's r&d is done back at home base in Sant'Agata Bolognese, Italy, its nimble, six-person Seattle operation is there to "intercept new ideas and concepts," said Paolo Feraboli, director of the lab. "What's unique about this facility is we go from making to testing to designing quickly," Feraboli said. "It's what we call a shrunk-down version of a company like Boeing."